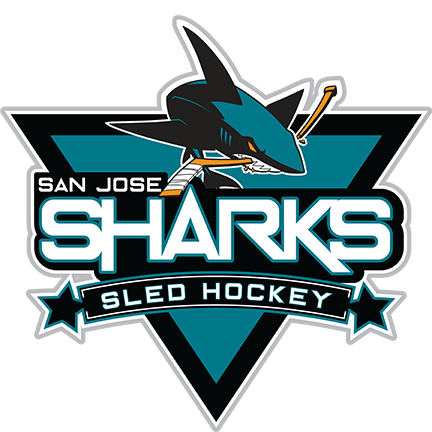 It’s official: BORP’s Sled Hockey team has new jerseys from the San Jose Sharks. Be on the lookout for the Sharks on Friday evenings at the Oakland Ice Center! A big thank you to Sharks Ice for their ongoing support of BORP and the youth sled hockey team! James Bohnett playing at the 2013 Hoops Classic tournament. 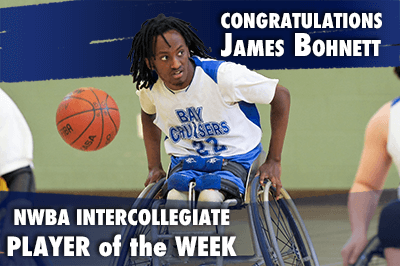 Former BORP Varsity Basketball player, James Bohnett, was named NWBA Intercollegiate Player of the Week for October 31-November 6. James, who attends the University of Missouri, scored 82 points, and had 19 rebounds and 16 assists over the course of three games during the University’s Mizzou Classic tournament, leading his team to the tournament title. Click here to read more about James and learn how the NWBA selects a Player of the Week. It’s that time of year when the unpredictable weather makes planning a trip to a park a little iffy. Not to worry because there are 3, mostly indoor, National Parks in the East Bay that are good options during the rainy season. They include; Rosie the Riveter WWII Home Front National Historic Park in Richmond, John Muir National Historic Site in Martinez, and the Eugene O’Neill National Historic Site in Danville. This article will just cover Rosie the Riveter. You can find articles with accessibility information about the Eugene O’Neill site here and the John Muir site here. 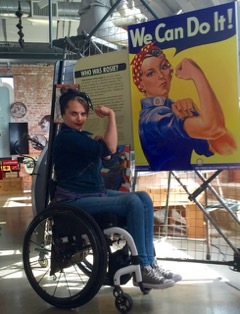 Rosie the Riveter WWII Home Front National Historic Park was created to tell the diverse story of the home-front efforts during World War II by highlighting the city of Richmond, which played a critical part in building ships, jeeps, and tanks. The park encompasses historic structures, museum collections, and interpretive exhibits scattered throughout the Richmond waterfront and Bay Trail; the Visitor Center is the centerpiece and makes for a good indoor option. Using sounds and interactive exhibits this stellar museum takes a thorough look at the triumphs and controversies surrounding WWII and the people that worked behind the scenes, and how this nation came together believing in serving a greater purpose. The museum’s three floors, restroom, and theater are barrier-free, and there is an audio tour available. You can also take a self-guided auto tour of all the various sites. one-mile to the Rosie the Riveter Memorial, an outdoor exhibit that showcases a sculpture that mimics the framework of a steel ship that workers built at the nearby Ford Assembly Plant. Photos on the sculpture and quotes inscribed into the ground on a pathway that extends to another metal framework at the edge of the bay, give context to the memorial. Admission is free. 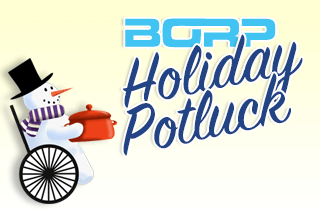 Hours- Daily, 10 am-5 pm; closed on Thanksgiving, Christmas, and New Years Day. Update (Dec 1): A big THANK YOU to everyone who chipped in on #GivingTuesday to support #GivingWheelsDay! Your donation, no matter the size, will have a direct impact on the lives of people with physical disabilities who come to BORP for sports and recreation and, in the process, gain confidence and community. *If you haven’t taken a class at the BORP Fitness Center before, please plan to arrive 15-30 minutes early to complete paperwork. For more information and to RSVP for these or any of our Adventures and Outings, call Lori Gray after 10:00 am at 510-843-4398.